Showings start now! Offers as received. 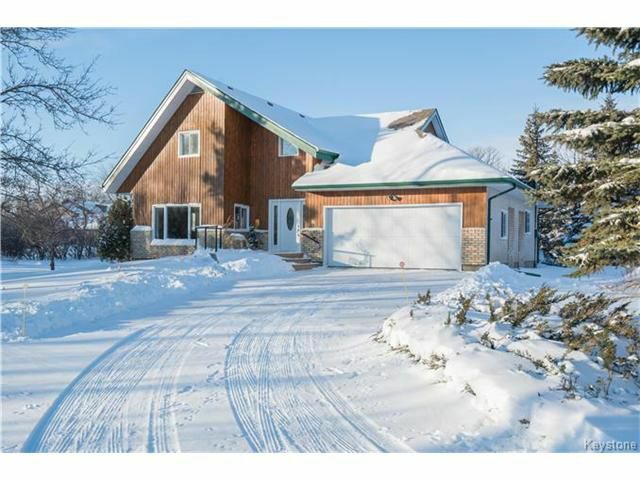 This beautiful country residence located on a landscaped one acre lot is only 15 minutes away from the city. As you enter the home you will be blown away by the abundance of natural light and the open concept layout throughout the home. This home features a master bedroom with ensuite on the main level, where you will also find hardwood flooring throughout. The main level also features a massive formal dining area and a large living room perfect for those who love to entertain. It also features an eat-in kitchen with a walk-in pantry and all appliances included, as well as patio doors that lead you to the attached sunroom and landscaped deck. As you walk into the backyard you will also find a large 1,200sqf workshop worth ($80,000). With two additional bedrooms on the upper level, a fully finished basement with an additional room, and an office and recreation room this home features everything you need and more. Book your showing today!